Kaltura integration was released in January 2019 as a free firmware update for all Pearl systems. Pearl offers a versatile and no-fuss experience for multi-camera scheduled VOD events, ad hoc events, and webcasting using either RTMP or RTMPS. How does Pearl integrate with Kaltura? Pearl seamlessly integrates using Kaltura’s API. 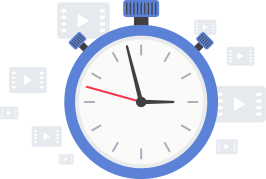 After you register Pearl with Kaltura, you simply choose Pearl as a resource for your scheduled webcast events and VOD recordings. Pearl automatically records up to 5 channels for multi-view VOD events. 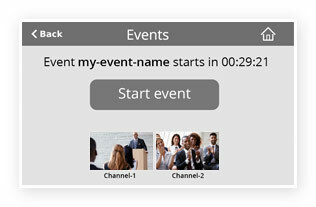 For webcasts, you can stream your chosen channel to any RTMP destination as specified in your Kaltura event. How will I know if Pearl has the most recent schedule? Pearl’s front-screen shows the current event, or use Pearl’s Admin panel to see an up-to-date list of all your scheduled events. A countdown appears when your event is close to starting. Can I record manual (ad hoc) events on Pearl? Yes! 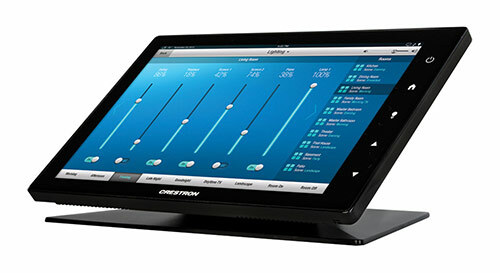 When Pearl is in CMS mode, simply start recording on Pearl. When you stop recording, Pearl automatically uploads them and they appear in your media list. Unlike many alternative lecture capture systems, Epiphan Pearl offers best-in-class lecture capture with no recurring fees. With 802.1x certificate authentication, you can easily install our systems into your secure network. Combine audio and video sources to create dynamic layouts for your audience, or capture individual ISOs. Epiphan integrated with Kaltura in January 2019 as a free firmware update for all Pearl systems. Integration with Panopto and Opencast is coming later in 2019.